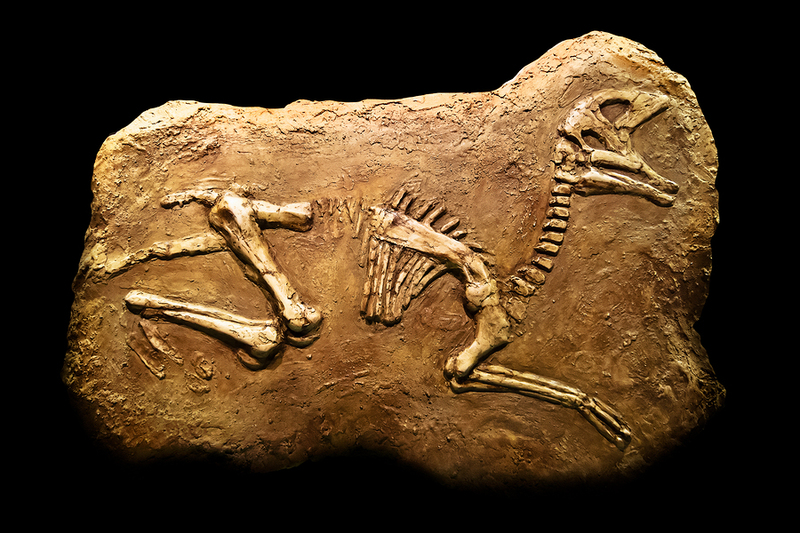 Researchers have discovered the 70-million-year-old fossilized elbow of a dinosaur that shows evidence of septic arthritis. This makes it the oldest case of the painful condition to ever be found. Apparently, just like humans, dinosaurs suffered the pain of joint inflammation caused by an infection that settles in the joint. Only the two forearm bones were found, so it is uncertain what kind of dinosaur it was, but the researchers say it probably was a hadrosaur, a type of duck-billed dinosaur. The findings were reported August 2 in Royal Society Open Science. The fossilized bones were covered with a growth resembling the texture of cauliflower. Underneath the growth, the elbow joint had completely disintegrated and then fused together. Jennifer Anné, lead study author from the University of Manchester in Britain, said, “It probably had a partially bent arm with either little or no movement at the elbow. Kind of like Igor from Frankenstein. It also probably would have had a limp. The bones were actually discovered over a decade ago, but at that time the appropriate tools did not exist to study them in enough depth to discover the arthritis. This is because the bones were affected by pyrite disease, which causes them to turn to dust when touched. A micro computed tomography (micro-CT) scanner at Harvard University enabled the team to look through the rock and bone and see what was inside. Once they got through the obstructions they compared what they found to symptoms seen in other animals, ultimately concluding that the dinosaur suffered from septic arthritis. Unfortunately, the team cannot follow up with further studies since no other bones were found. However, Anné says she is betting the arthritis would at least have also affected the upper arm at the elbow joint as well. Baseball bats have been made of ash for more than a century, but now that source of wood is being threatened by a weird, exotic beetle that is killing ash trees. The emerald ash borer was an accidental import from Asia, and it has already killed 50 million trees. They’ve now invaded the groves of New York’s Adirondack Mountains, where the Rawlings plant has gotten its baseball bat wood for decades. Ash bats are the number one choice of baseball players because they are more durable and don’t shatter as easily as bats made from other types of wood, such as birch or maple. But thanks to the beetle, the ash supply may soon not be able to meet the demand. 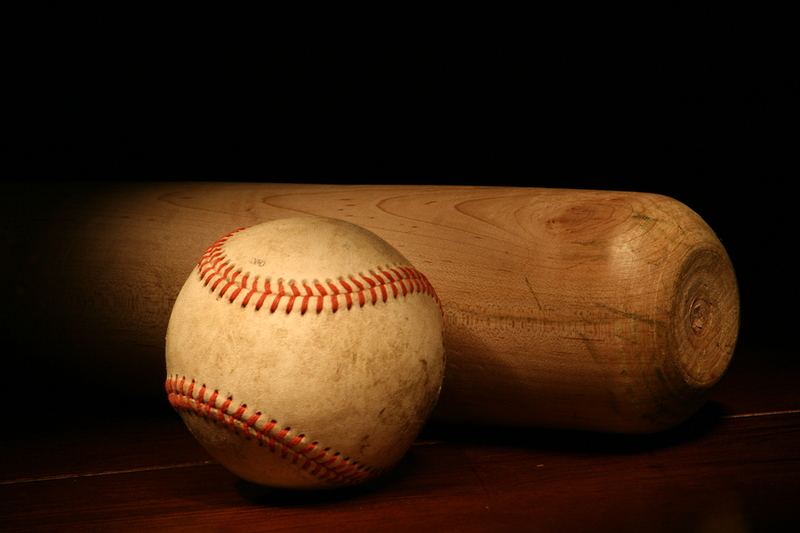 About 70 percent of the 300,000 bats Rawlings makes every year are made of ash. Vander Groef says within three years the company’s supply could be gone, or unaffordable. Scientists say there is a bigger concern than baseball bats. Deborah McCullough, a Michigan State University scientist says the situation is becoming catastrophic. She was one of the first to realize that the beetle invasion had happened. She is hopeful that some white ash will survive, but 90 percent of trees have already died in some areas. “When you start losing entire species, the effects cascade through the whole ecosystem,” she said. State and federal officials are working across the country to try and quarantine areas that are affected by the beetle. No untreated wood is being allowed to move out of these areas. The officials are also experimenting with various types of insecticides and with releasing a type of wasp that likes to feed on ash borer larvae. Many of the great hit in baseball were made with ash bats, including Hank Aaron’s 715th home run and Babe Ruth’s called homer. Be prepared for a lot more shattered baseball bats in the future if the beetle attack cannot be stopped. August 6 marks the 30-year anniversary of the Volcano Disaster Assistance Program (VDAP), an agency whose existence most people are probably unaware of. VDAP is the only international crisis team in existence to respond to volcano disasters, rapidly deploying experts, donating and installing monitoring equipment, and working with local agencies to prevent eruptions from becoming disasters in the first place. A joint program between the U.S. Geological Survey (USGS) and the U.S. Agency for International Development’s Office of U.S. Foreign Disaster Assistance (USAID/OFDA), the agency is the only one covering the 1,550 potentially active volcanoes worldwide. VDAP was established in 1986, after the disastrous eruption of the Columbian volcano Nevado del Ruiz that killed more than 23,000 people. Realizing that the loss of life could have been drastically minimized with assistance prior to the eruption, the USAID/OFDA and USGS formed VDAP. 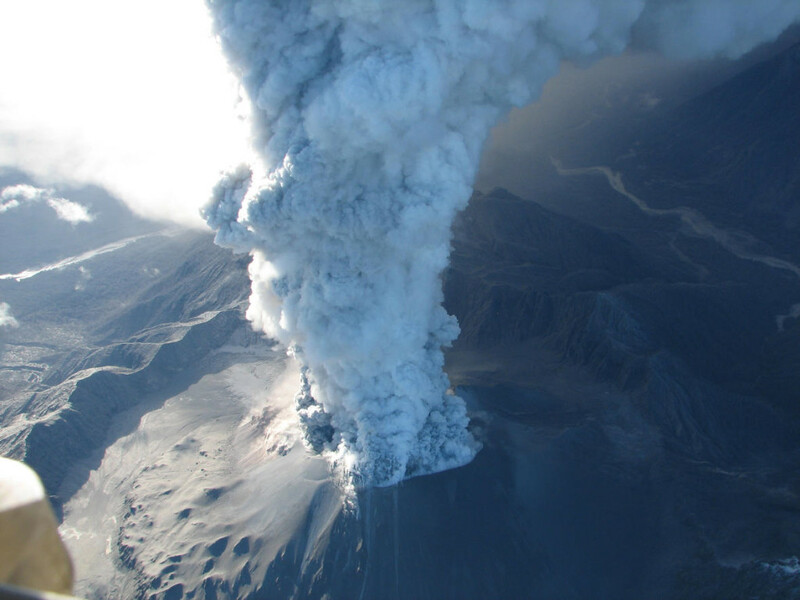 The role of USGS is to provide scientific and technical expertise for monitoring volcanoes, forecasting eruptions and response. USAID/OFDA leads the U.S. government’s response to overseas disasters, and has provided more than $33 million to VDAP since it was established. Host countries invite VDAP to step in and support their own scientists and agencies. In the past 30 years, teams have been deployed to 30 major crises and assisted with hundreds of lesser volcano events, strengthening the monitoring and response capabilities in 12 countries. Types of assistance depends on the situation, but may include supplying satellite data, donating monitoring equipment and providing support functions. VDAP also helps to train teams in other countries to establish and/or enhance their own capabilities to handle volcanic crises. The U.S., with more active volcanoes than any country except Indonesia, is the biggest recipient of VDAP benefits. Working with volcanoes in other countries around the world and collaborating with international scientists improves U.S. capabilities to understand possible threats and develop strategies to help prevent disasters in the U.S. 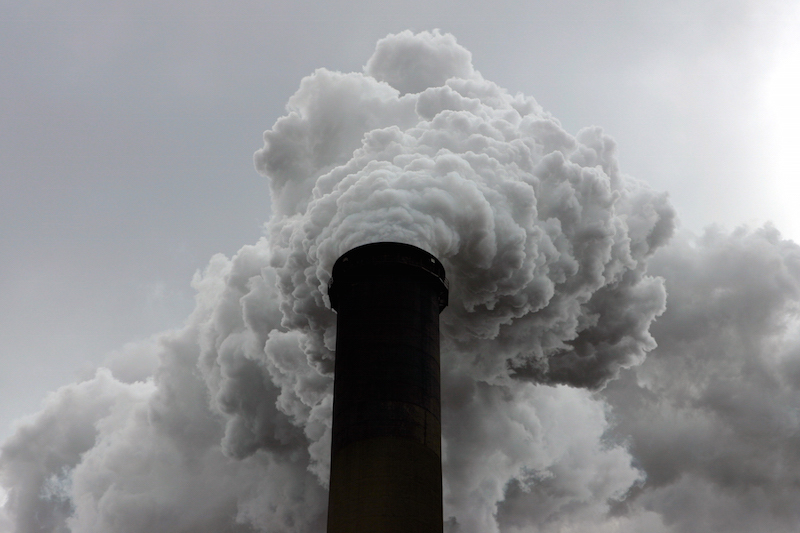 Taking their cue from Mother Nature, a team of researchers from the University of Illinois at Chicago (UIC) have developed a new process that removes carbon dioxide (CO2) from the atmosphere and converts it into a usable fuel, according to the Christian Science Monitor. And the good news is, it costs about the same to produce as a gallon of gas. Lead author on the study, Amin Salehi-Khojin, an assistant professor of mechanical and industrial engineering at UIC, released a statement in which he called the process photosynthetic. “Instead of producing energy in an unsustainable one-way route from fossil fuels to greenhouse gas, we can now reverse the process and recycle atmospheric carbon into fuel using sunlight,” continued Dr. Salehi-Khojin. The researchers said the finding may make fossil fuels obsolete. The device is essentially a solar cell that functions like a leaf on a plant, except instead of taking the carbon dioxide from the air and manufacturing sugar for energy, the artificial “leaf” converts the compound into a synthesis gas. Synthesis gas, a mixture of hydrogen and carbon monoxide, can be used as fuel, or could be converted into diesel or other hydrocarbon fuels, according to the article. Previous attempts at converting CO2 into a usable form of carbon relied on expensive metals to breakdown the CO2 into something that could be stored for use. When exposed to light, the ionic liquid in the new two-compartment, three electrode cell, emits hydrogen and carbon monoxide from the cathode, while oxygen and hydrogen ions flow from the anode. The research team says the artificial leaves could be used in small applications or distributed across a wide-spread solar farm, and even could possibly be used on Mars expeditions, should water be located on the Red Planet. The world’s atmosphere is mostly made up of CO2 already. The team’s research was published in the July 29 issue of Science, and received funding from the US Department of Energy and the National Science Foundation. Two new species of spiny ant have been discovered, and, since the scientists who found it are Game of Thrones fans, they knew that the ants resembled creatures from the series and have named them after Daenerys Targaryens dragons: Pheidole drogon and Pheidole viserion. The ants have revealed surprising information as to the purpose of the spines that poke up from their backs, a secret revealed in a paper published in the journal PLOS ONE last Wednesday. Study author Dr. Eli Sarnat told the Christian Science Monitor that it has commonly been assumed that the spikes on spiny ants are for defense, making it difficult for predators to swallow them. Sarnat had a different idea though. Worker ants fall into two categories: major and minor workers. Most average ants are minor workers, but the major workers have huge heads, and Sarnat thought perhaps the spines had something to do with extra muscles that would support those giant heads. The team used tiny CT scans, known as micro CT, to look at the internal structure of the bodies of the ants and made a three-dimensional model. The scans revealed that there was indeed extra muscle tissue in the shoulder spines of the major workers, who have the larger heads, but not in the minor workers. According to Providence College biologist James Waters (not involved in the study), “The micro CT scanning enabled the authors to test a controversial new idea that the incredible shapes of the spikes on these ants have evolved for biomechanical support of their behaviors.” He said perhaps this technology could help researchers examine evolutionary relationships between many other creatures based on the function of their anatomy, not just their form. The new ants have spines which are more complex and elaborate than any other of the 15,000 an species worldwide. 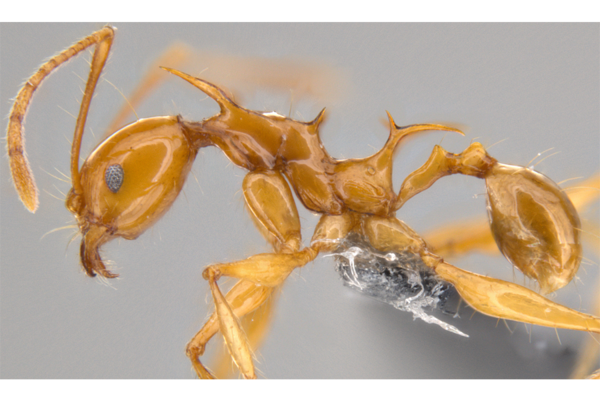 Evan Economo, another member of the research team, said that they routinely find new species of ant in tropical regions such as New Guinea, which is teeming with unknown creatures, but that does not mean this finding is insignificant. Black holes consume massive amounts of gas and stellar debris, and as millions of them eat they emit powerful bursts of X-rays that create what is known as a “cosmic choir” that fills the entire sky. Astrophysicists have known about these X-ray songs for a long time, but, until now, identifying the individual “singers” has not been possible. 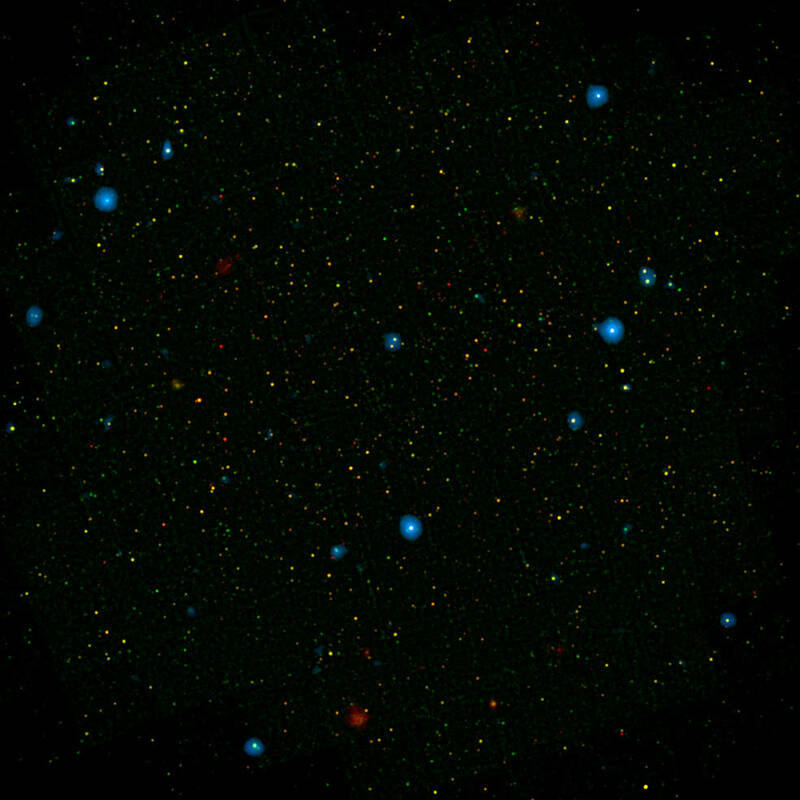 Now NASA has the Nuclear Spectroscopic Telescope Array (NuSTAR), and it is helping scientists resolve the secrets of the black holes that emit these high-pitched X-rays. NuSTAR is a space-based X-ray telescope that is enabling researchers at Caltech in Pasadena to resolve as much as 35 percent of the highest voices, where previously only 2 percent of the high-energy X-ray background was captured. Fiona Harrison, lead investigator of a recent study, says it is now possible to see the most obscured black holes, even those hidden by thick gas and dust. The new information will eventually help astronomers understand how the feeding behavior of black holes changes over time, which is a key factor in the growth of the galaxies that host black holes, as well as the black holes themselves. A supermassive black hole is one with a large amount of fuel that gives off more high-energy X-rays, which NuSTAR is able to focus into sharp pictures for the first time. The Milky Way’s signature gas halo spins at a relative speed of its host disk, according to a NASA-funded study. It was earlier surmised that the host gas reservoir surrounding the galaxy’s disk remained motionless. But astronomers from the College of Literature, Science and the Arts at the University of Michigan discovered otherwise. The study was published in the Astrophysical Journal. 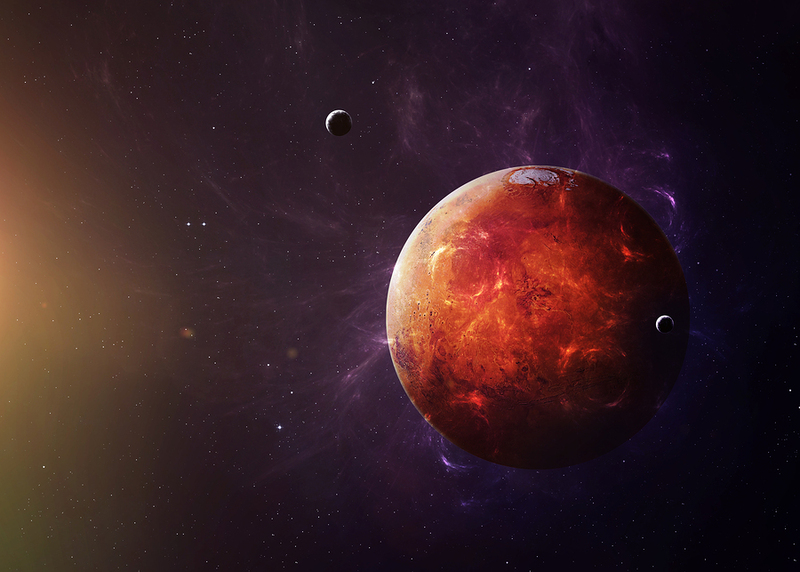 Scientists sourced archival data from the XMM-Newton, a European Space Agency (ESA) telescope. Astronomers used motion—which causes a shift in light’s wavelength—to exhibit the spinning gas halo in concert with the Milky Way’s disk. The halo whirls at 400,000 mph, the disk 540,000 mph. “The rotation of the hot halo is an incredible clue to how the Milky Way formed. It tells us that this hot atmosphere is the original source of a lot of the matter in the disk,” said Edmund Hodges-Kluck, co-research scientist for the study. 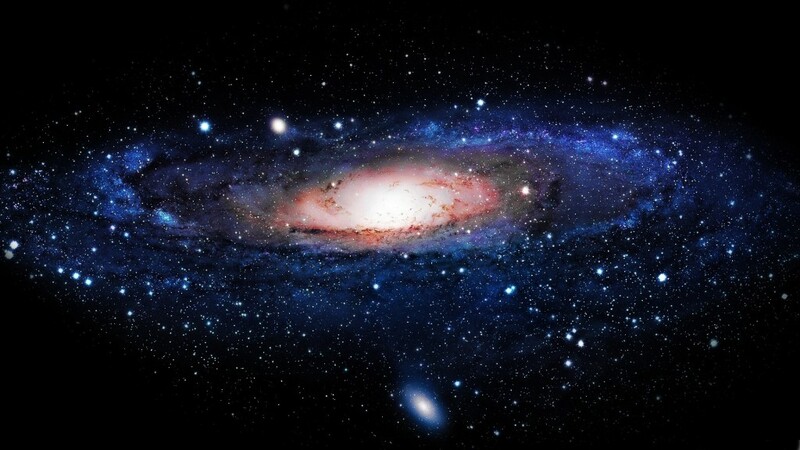 This new knowledge will assist scientists’ efforts in trying to understand the genesis of the Milky Way and its eventual terminus. The visibility of the Milky Way is slowly disappearing. In fact, 80 percent of North America can longer view it. Western Europe, however, is most affected by a phenomenon known as light pollution; Spain, Scotland, Sweden, Norway, and Austria are, nonetheless, still dark enough to witness the galaxy. Light pollution is present in other areas around the world. South Korea, Italy, and Saudi Arabia experience the most light pollution, whereas Germany and India have the blackest skies. The International Dark-Sky Association (IDA), though, says that light pollution is reversible. Energy-efficient light bulbs and drawing blinds at night to keep interior light from seeping out are ways to reduce added light pollution. The association also advises to only use light when requisite. Instead, the organization suggests turning off lights when not being used and installing motion detectors and timers to avoid artificial lighting; cutoff lighting is also encouraged. Light pollution obfuscates the night skies, but moreover, it interferes with the body’s circadian rhythm, which controls sleep patterns. An international crew of NASA astronauts has been training in an extreme environment since July 21, but that environment is literally the opposite of what might be expected for space training. The NASA Extreme Environment Mission Operations (NEEMO) is training underwater, on the floor of the Atlantic Ocean off the Florida Keys. 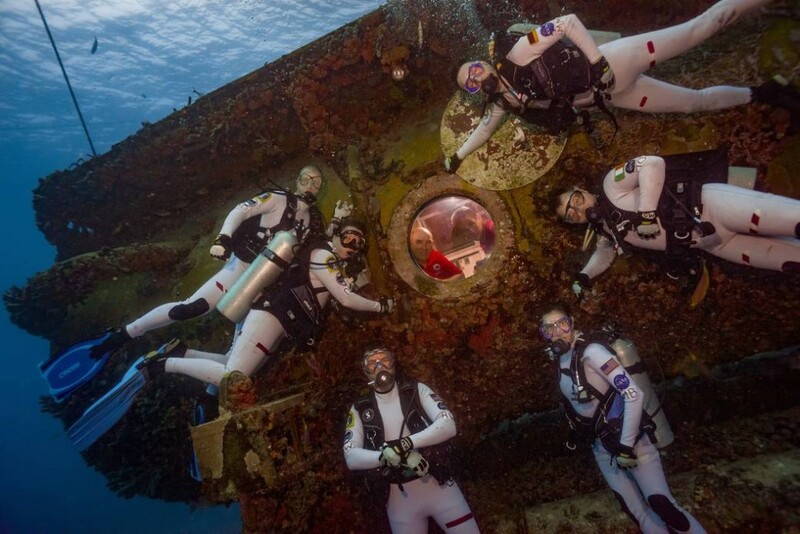 The undersea Aquarius Reef Base will be their training station for 16 days, in which they will train for a future journey to Mars and other deep space missions. The astronauts, now considered aquanauts, are assessing tools and mission operation techniques that will be needed on space missions. They are pioneering complex tasks that use the most advanced underwater science and navigation tools, carefully choreographed to simulate a Mars exploration traverse. During these simulated spacewalks, the grew will be gathering samples for geology and marine biology studies, participate in coral restoration activities and test software for managing operations. Another big feature of the exercise is testing communications and learning to deal with the delay that is similar to what they will encounter on a mission to Mars. Working and moving in the ocean environment is simlar to life and work conditions in a spacecraft, and also offers microgravity conditions similar to that of the International Space Station. According to NEEMO Project Lead Bill Todd, equipment can fail and tasks can take substantially longer than expected in space, while other tasks go as planned. All the experience is valuable in preparing the astronauts for the unexpected when they some day travel to Mars. The team is spending the 16-day exercise living 60 feet below the ocean surface about 6.2 miles off the coast of Key Largo. They will be performing research both inside and outside the habitat. 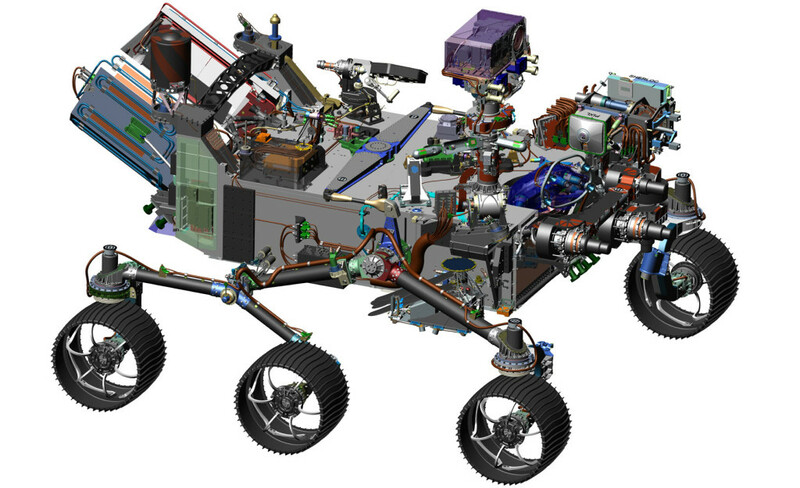 NASA has announced that plans for the Mars 2020 rover are on pace for its 2020 launch, and that it is ready to proceed with the final design and construction of the project. Some of the design and hardware of Mars 2020 are being borrowed from the Curiosity rover, including the sky crane landing system, but some added enhancements will allow it to land safely in more rugged areas. Another safety feature is terrain-relative navigation, which will use onboard analysis of images looking down at the planet’s surface which will be taken during the descent. These images will be matched to a map that indicates unsafe landing zones to avoid. Two active rovers are already on the Martian surface and three NASA spacecraft are orbiting the planet, all part of the Mars Exploration Program. The Mars 2020 rover mission is also part of the program There are also plans for a 2018 launch of Insight, a stationary lander that will study the interior of Mars. NASA has commissioned five aerospace companies to develop Mars orbiter designs as part of the next step toward putting a man on the Red Planet in the 2030s. The five companies are Northrop Grumman Corporation, The Boeing Company, Lockheed Martin in Colorado, Orbital ATK in Virginia and Space Systems/Loral from California. The proposals must address how the mission could most effectively provide imaging, communications and operational capabilities. About 95 percent of the data currently coming from Mars originates in the orbiters presently on the Martian surface.Two active rovers and three active orbiters are now exploring the Red Planet. However, according to Richard Zurek, of the Jet Propulsion Laboratory in Pasadena, Calif., those orbiters are aging and need to be replaced. More capabilities are needed though, if a manned mission is going to be possible. One of NASA’s requirements for the new orbiter is fuel-efficient technology known as solar-electric propulsion. This system will harness the energy from the sun to propel the craft. The technology is already being used by some of the satellites orbiting Earth. The system would allow the Martian satellites to fly near the planet’s surface, and they would carry sophisticated communication systems. Each of the aerospace companies designing Mars orbiter concepts will have four months to develop their design. NASA may then partner with one of those companies to carry out the project. However, no matter which company is chosen by NASA, their orbiter will probably be beaten to Mars by at least two other spacecraft. InSight, the geophysical lander whose mission is to study the planet’s deep interior, is scheduled to land on Mars in 2018. Two years later, the Mars 2020 rover will land, with a mission of searching for signs of life and laying the groundwork for the future manned mission.